I would agree with that, and also say, “Who dares to lead must never cease to learn”. Because the truth is that leading, and teaching require learning at their core. Leadership is nothing you are “born with”, it’s something you are taught. Knowledge is something you gain as you learn. So both teaching and leading flow out of a posture of learning. The person who refuses to learn, refuses to grow. The person who refuses to learn, refuses to improve. The person who refuses to learn, stops moving forward and will soon move backward. I think that’s all pretty straightforward, but here is the leadership or learning principle that flows from this that is hard. To be a good leader and a good teacher requires learning. This also means it requires saying, “I don’t know”. And this is what is hard for teachers and leaders. They are used to being looked up to as the person with answers, with direction, with knowledge and skill. It is hard when you are in that position to say “I don’t know”. But being able to say, “I don’t know” is the fundamental posture of a learner. It is required to learn, to admit you need to learn. So here is the paradox or difficulty: to be a good leader means being a learner, which means admitting you don’t know things. And this is hard, because we have somehow built up the expectation that our leaders and teachers would “know everything”. That if they were to admit that they don’t know we see them as an example of weakness rather than strength. But saying “I don’t know” isn’t a weakness; it’s a requirement to be a good leader and teacher. It requires self-awareness to know what you know, and know what you don’t. It requires courage to admit the limits of who you are. It requires humility to continue to look to others as well for direction, support, and growth. The point is that if we want to be good leaders and teachers, it means being a great learner. And that means we need to get good at saying, “I don’t know”. 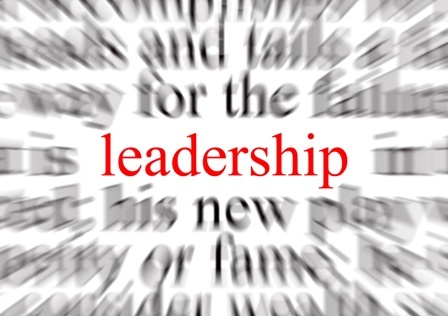 Great blog on leadership ! The endless journey of learning! Thanks Barry for the encouragement!